Recruitment on each campus varies, so it is important to get information from the campus student activities office to understand the times and requirements of recruitment. Membership is voluntary and is the result of mutual selection. Formal recruitment is a time for sorority members and unaffiliated women to become better acquainted. Normally, this occurs once per year on a campus. Continuous informal recruitment also occurs on some campuses throughout the school year. Offers of membership during informal recruitment many occur at any time during the process of getting acquainted. The National Panhellenic Conference (NPC) provides support and guidance for its 26 member inter/national sororities/women’s fraternities and serves as the national voice on contemporary issues of sorority life. Alpha Delta Pi joined the NPC in 1909. Since 1902, the member groups of NPC have unanimously agreed to pursue certain procedures and ethics, which lead to orderly and ethical conduct. Additionally, each Inter/National President signs the Unanimous Agreements indicating that every alumna and collegiate member will abide by and honor the Unanimous Agreements. These agreements must be incorporated into College and Alumnae Panhellenic procedures and are binding upon all chapters of NPC member groups. For additional information on the Standards, Policies, and Unanimous Agreements, please visit the NPC website. 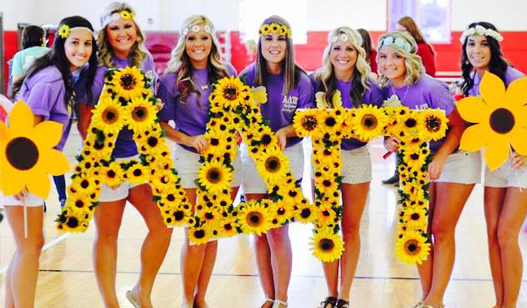 A legacy is a sister, daughter, or granddaughter of an initiated member of Alpha Delta Pi. We believe the initiation of these women strengthens family ties, giving the chapter increased support. ADPi members are welcome to introduce a potential member or legacy to a collegiate chapter using our Potential Member and Legacy Forms.